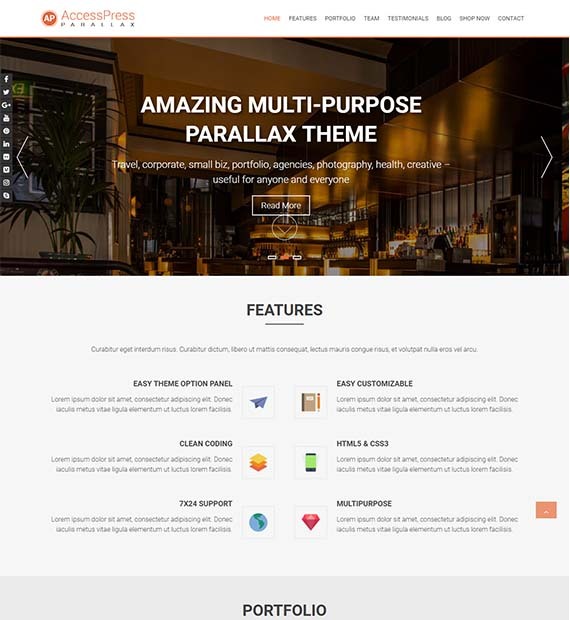 AccessPress Parallax is a creative, modern and advanced WordPress theme that features the popular Parallax effect and design. The feature-rich and beautiful theme is fully responsive and retina ready making your site look awesome no matter what device your user is on. With so many awesome features, we doubt that you would want to switch to anything else. The theme designed by Access Keys is one of the best feature-packed Free WordPress themes available out there! Want to credit your team members of your website? Do it creatively with each member in different layout with the advanced option for team layouts.